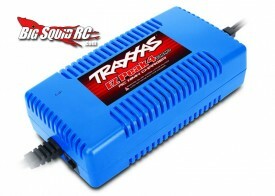 New Traxxas EZ-Peak Chargers « Big Squid RC – RC Car and Truck News, Reviews, Videos, and More! 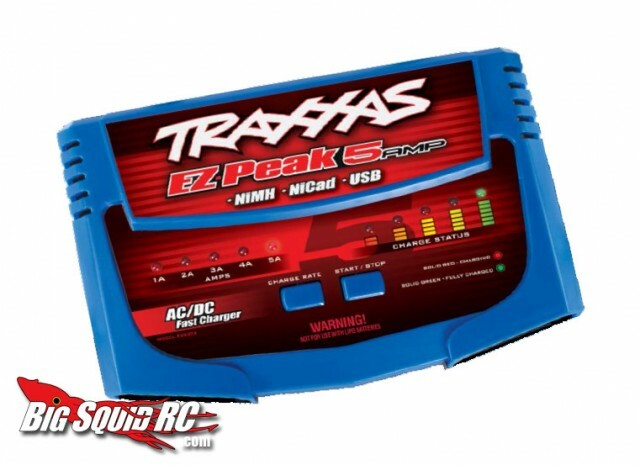 Traxxas has two new EZ-Peak Chargers coming soon. The 5 amp charger comes with a USB port for charging stuff like the DR-1 and QR-1 quad and heli batteries as well as a receiver battery port for 4-5 cell receiver packs. It also comes with a Traxxas connector for doing all the NiCad and NiMH packs. It can use AC or DC power and will cost around $90 when it hits the stores. For all those people who don’t plan on making the jump to LiPO this is a good way to get your batteries charged faster than the stock chargers that came with your vehicles. The other Traxxas charger is a most cost effective 4 amp version without all the bells and whistles, but will only cost you about $55 and still get your NiMH batteries charged faster than the stock charger. Looking for more Traxxas news? Check out THIS LINK.